Looking for Tips and Tricks? They're here! 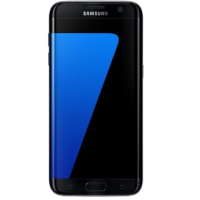 Samsung has set the standard for the rest to follow with the development of the Galaxy S7. New in 2016, the new Galaxy offers the same features that Samsung fans have come to expect, in addition to a few new features. Read on for our in-depth review. • The design and build quality has been well thought out. Following on from the S6, the Galaxy S7 feels like a solid, quality handset that won’t damage easily. • The camera has received a minor upgrade and still has fantastic photo quality. • Great battery life for a smart phone with this feature set, despite the addition of the new ‘Always On Display’ feature. • The Samsung Galaxy S7 is durable enough to withstand being dropped in water. • The glossy display creates a bit of a glare when under direct light which can make viewing your display difficult from time to time. • The metallic finish is smooth to the touch and eye catching to look at, but so are the smudges that your fingers will likely leave on its smooth surface. • Like the S6, the battery is not removable. It’s fairly obvious what this feature entails; a display that remains on despite the phone being in standby mode. With the option to choose between displaying the current time or a calendar, Samsung hopes that this will improve battery life significantly. Their reasoning is that users habitually check their phones a minimum of 150 times a day to determine things like the current time or to check their calendars. This habit eats away at battery life at a fast rate. To combat this constant checking, they have developed the Always On feature so you can check the most common information. Obviously it still requires power to operate, but Samsung claims it should draw less than 1% an hour of power. If you’re a developer, you’ll be pleased to find that the screen API is open for development. Developers can now start to dream up uses for the ‘Always On Display’ functionality. The Samsung Galaxy S7 also sports a new feature which helps with your smartphone gaming. This is in the form of a special sandboxed area which you can add selected games to. From here you can tweak performance, disable buttons and alerts, and even record in-game footage to share with others. If you need to reply to a text message or a phone call immediately, you can minimize the game temporarily. You can also adjust frame rates and in order to conserve battery power or reduce the load on your graphics processor. While it’s not a new feature to Samsung phones, they have decided to equip this phone with the ability to withstand water damage up to 1.5 meters for a maximum of 30 minutes. Perfect for those accidental drops in the bath or toilet. The Samsung Galaxy S7 lacks the new USB-C connector. Instead, it uses a standard micro USB connection, which is good news for those of us who still have dozens of USB chargers lying around the house. The fingerprint scanner isn’t a new feature in the smartphone world but it provides some peace of mind when it comes to security and convenience. Accessing your banking info, or setting up money transfers is really simple and secure thanks to this innovative feature. The design follows pretty closely behind that of its predecessor, the S6. From the front, the phone appears to be similar in design with the rounded edges and the back is covered in that beautiful metallic glass. Both front and back use Gorilla Glass 4, so it’s extremely difficult to shatter or scratch. The phone really does feel great in the hands. Located on the sides of the S7 are just three buttons. On the left you’ll find the volume controls, and on the right you’ll find the power button. The top of the Galaxy S7 features a tiny tray which takes your Nano SIM and microSD card. On the bottom of the Galaxy S7 is the speaker, a microUSB port and a small mini jack for connecting your headphones. Not much needed improvement from the S6 and Samsung have pretty much decided to rinse and repeat with S7, which is perfectly fine. You can expect the same 5.1 inch QHD Super AMOLED display like that of the S6. The pixels are 1440 x 2560, meaning photos, web pages, and graphics will appear in stunning clarity and detail on your glossy display. The camera has come a long way from earlier Samsung models and although only 12 MP, it really is sufficient for all but the expert photographers among us. The autofocus feature has been enhanced due to the dual pixel sensor technology. Focusing is now extremely easy and quick, even for those with shaky hands. The Galaxy S7 comes with 32Gb built in, however you have the option to add a microSD card up to 200Gb, which is more than adequate for even the hungriest of power users. The S7’s battery life is one of its key selling points, particularly when compared to some high end phones which often don’t last a full day. The mix of Android 6.0 Marshmallow OS and the power management is sufficient to keep users from feeling like they have a ball-and-chain relationship with their phone chargers. In addition to the speedy and efficient operating system, the S7 features the Qualcomm Snapdragon 820 (in the US/China) or the Exynos 8890 (in the rest of the world). It also has 4Gb of RAM which means the Galaxy S7 makes quick work of multi-tasking and handles most tasks with ease. The Galaxy S7 is Samsung’s flagship phone, so it is definitely not a cheap device. Pricing starts from around $670 in the US, £550 in the UK and around 620 Euros in Europe. Bryan is the founder of Phone Tips and Tricks which provides hundreds of tips, tricks and guides for smartphone users. While he isn't updating the website and blogging about phone related news, he will usually be found tinkering on his own wonder gadget. I just got the SamsungS7 and I’m learning how to do alot on it. But when I get a phone call I can’t answer it. Daah! How do I answer it? Samsung Galaxy S4 - The best phone in the world? © phonetipsandtricks.com. All rights reserved.